If you’re looking for the cheapest loft conversions, look no further than Firtree Building Services, as we believe no-one should pay over the odds to expand their living space. With a passion for quality and a team of experts in tow, we will transform your loft into a beautiful, stylish room for the best possible price. Give us a call today to arrange your FREE no-obligation quote. Your loft is a fantastic space in which to expand, as 9 times out of 10, you don’t need planning permission to follow the idea through. In addition to affording your home the extra space it needs, loft conversions can also increase the total value of your property if you’re thinking about moving down the line. With that the case, making sure you receive the best value for money is imperative, which is why at Firtree Building Services, we strive to offer our clients the cheapest loft conversions in the area. Most people toy with the idea of either investing in an extension or a loft conversion. At Firtree Building Services, we specialise in both, so we can assess your property to help you work out which option is the best for you. If you’re looking for the option that’s the cheapest, loft conversions usually turn out at the best price. Give us a call today to see what price we can do for you. At Firtree Building Services, we believe that offering the cheapest loft conversions shouldn’t mean we compensate on service. We help our clients right through from planning to completion, which means you can rest easy knowing that your loft conversion project is always in safe hands. Because we take care of everything, you don’t need to worry about organising other companies to help, and you can be sure that the quality will be consistently fantastic across every stage. On the other hand, we are also more than happy to work with designers or other companies if you require. To provide the cheapest loft conversion quotes, we need to make sure that we understand every aspect of the project. We’ll pop over to your property to discuss the cheapest loft conversion type we can offer you, the base price of which will be worked out by considering the roof space available and the amount of work involved in converting and reconstructing. 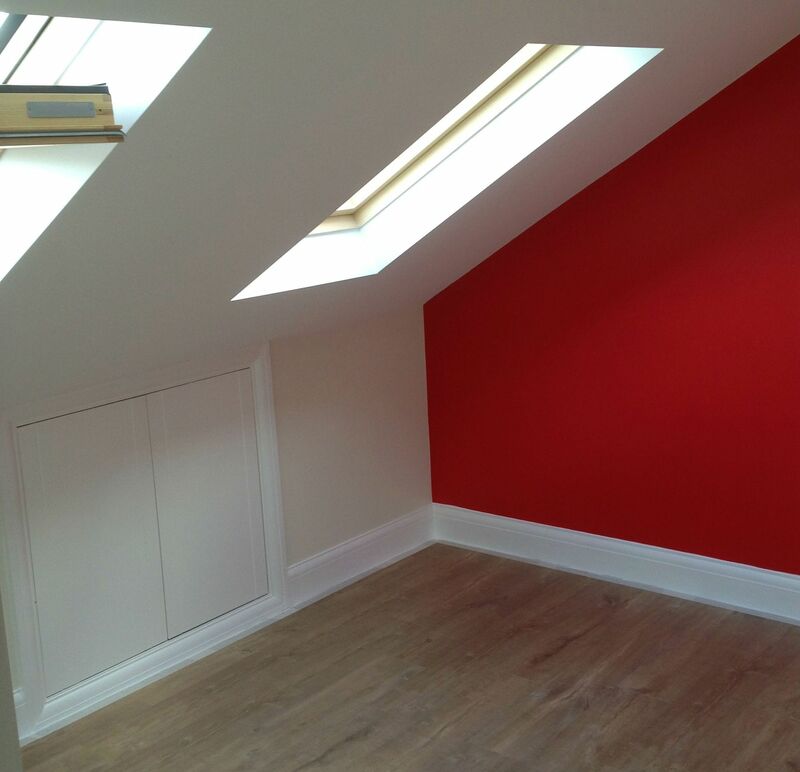 We want to ensure that your loft conversion is finished and decorated in a style that echoes your personal tastes. We’ll work with you to create complete designs and drawings, which will display all planned painting, decorating and flooring ideas for your loft conversion. We’ll then hand you over a fully detailed quote that outlays the cost of every stage of the project. If you’re really after the cheapest loft conversions, we can leave it as a blank canvas for you to implement your own DIY skills. As we’ve already mentioned, we can provide or work alongside a designer to produce a loft conversion that completely embodies your vision. If you’re looking for the cheapest loft conversions that include a complete design service, we can help you to choose colours, flooring type and furniture. The team at Firtree Building Services will work hard to achieve the look that you desire, and we won’t sign the project off until you’re completely happy with the results. Why should you choose Firtree Building Services for the cheapest loft conversions? As a trusted Which? trader and accredited by the Federation of Master Builders, Firtree Building Services is here to provide you with honest advice and a quality building service. Alongside this, we are passionate about delivering our first-rate service for a fantastic price, meaning we go to every length to deliver the cheapest loft conversions with the highest standards around. To further ensure the trust of our clients, all of our loft conversions come with a 10 year guarantee, which means if you discover that any element is below both ours and your high standard during the 10 year period, we’ll carry out any additional works free of charge. We know that loft conversions can be incredibly inconvenient to carry out, which is why we aim to complete all building work within 6-7 weeks so you can get back to your everyday life as quick as possible. We’ll work around you so you experience a convenient loft conversion. We’re more than happy to talk to you about any ideas or plans that you have and suggest the best way forward for you. If you’re looking for the cheapest loft conversions completed to the highest standard, take a look at our gallery for examples. If you’re looking for some friendly advice, or you would like to arrange your free no-obligation quotation, contact us today.